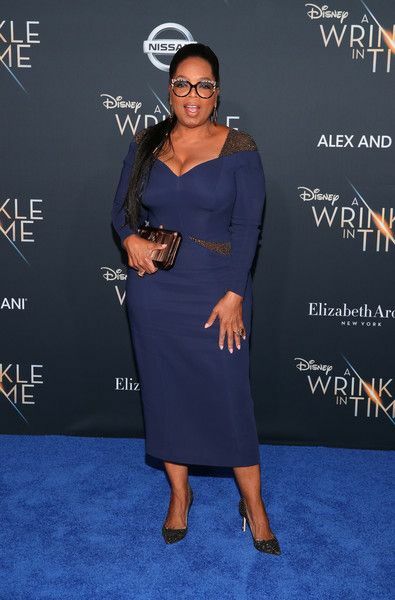 Black Queens Sprinkle Their MAGIC All Over ‘A Wrinkle In Time’ Hollywood Premiere – Oprah, Ava, Issa, Angela Bassett, Yara & Tons More! 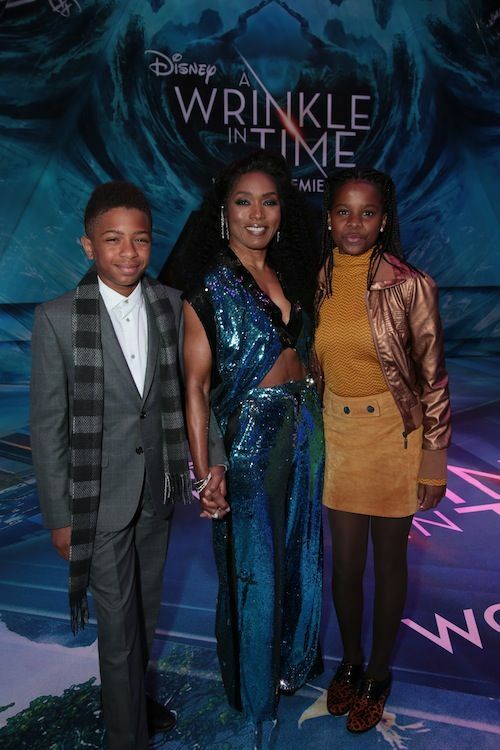 Bold, bright colors, sequin, crop tops and exotic prints are some of what shined on the blue carpet inside the El Capitan Theatre for the Hollywood premiere of A Wrinkle In Time. 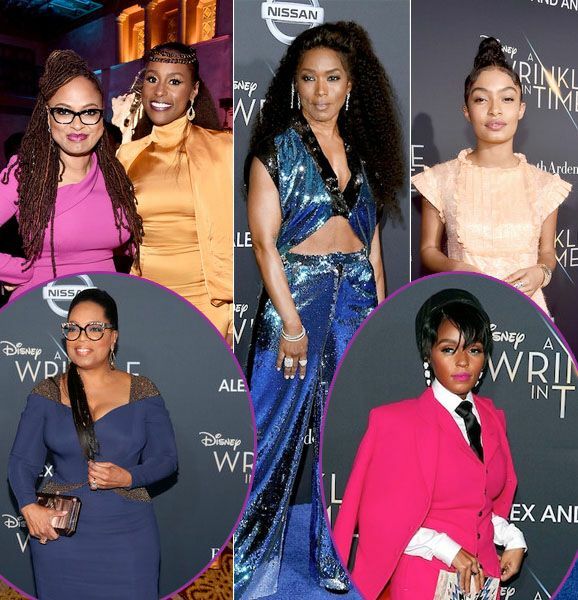 It was a total fashion affair of YBF ladies slaying like only they can do to celebrate the Disney adaptation of the children's classic. 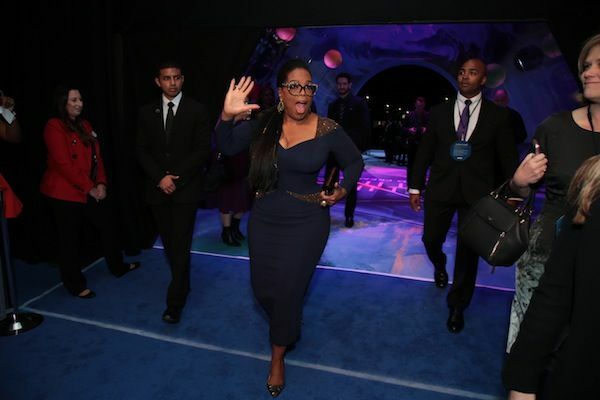 Oprah has been heavy on the promo trail before the movie opens in theaters on March 9th. 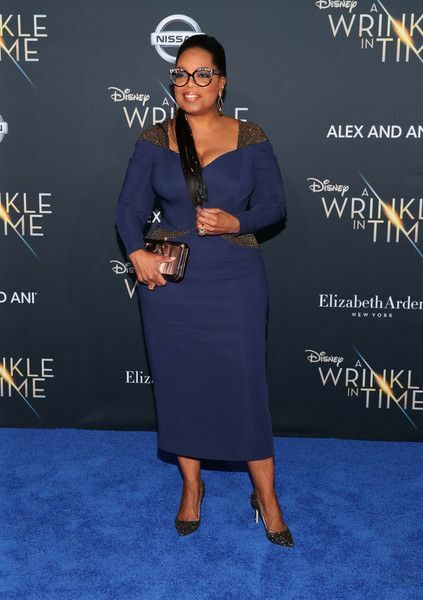 The media mogul kept it simple, yet stylish in a royal blue Atelier Versace with sheer cutouts that showed off her curves. 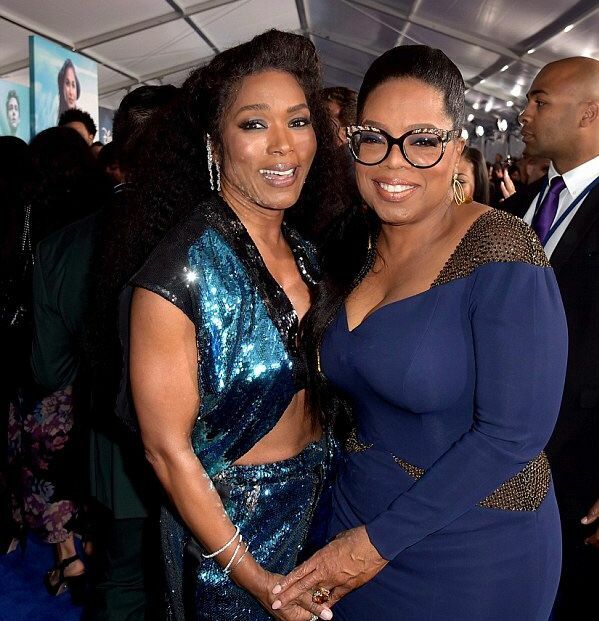 And then Angela Bassett rolled through and shut ISH DOWN. Yes, chile. 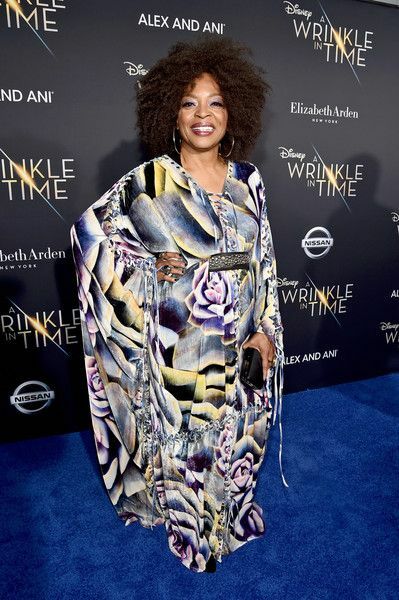 This is what 59 years young is looking like. 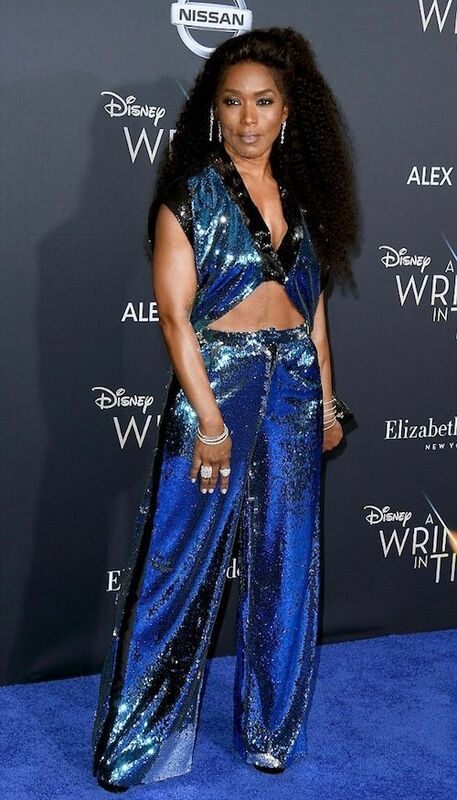 The Hollywood titan flashed her toned abs in a blue sequin ensemble by Greta Constantine. Aww! 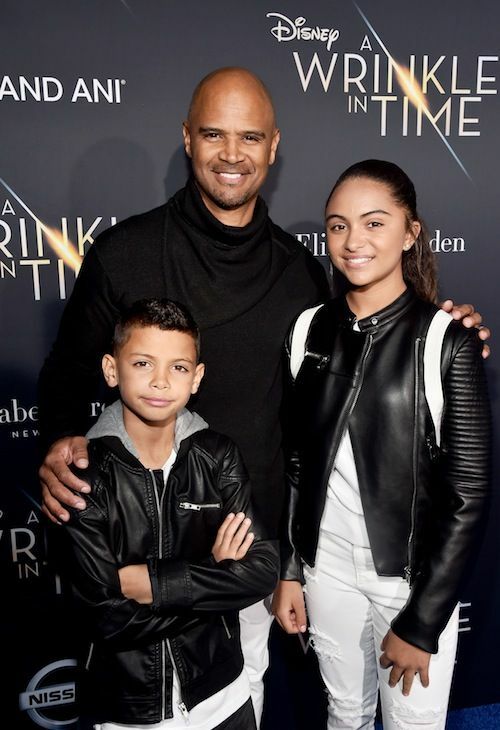 The "9-1-1" actress brought her twins, Slater Josiah and Bronwyn Golden, along for the Disney fun. They are growing up! 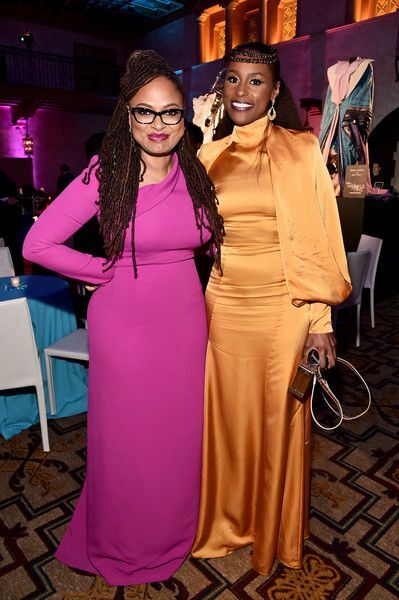 Lighting up the carpet in some bold colors, A Wrinkle In Time directress Ava DuVernay and “Insecure”star/creator Issa Rae stopped for a photo-op. 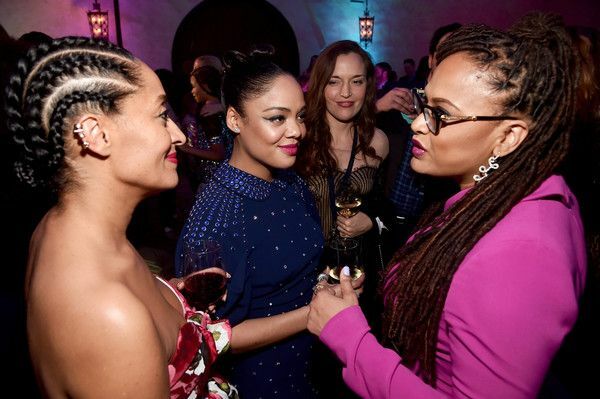 The fab directress stunned in a fuchsia long sleeved dress custom made by Cushnie et Ochs. 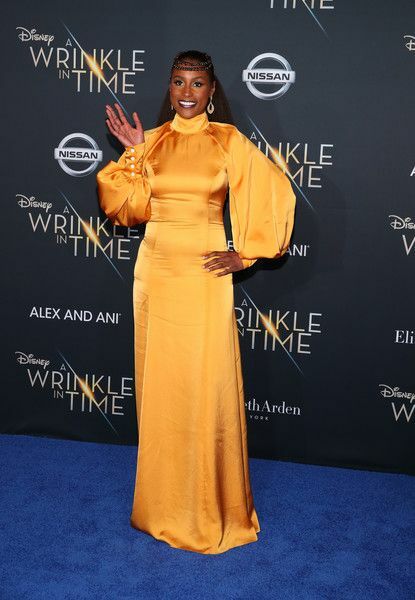 This isn't one of our favorite looks of Issa's, but that gold hue against her skintone is everything. 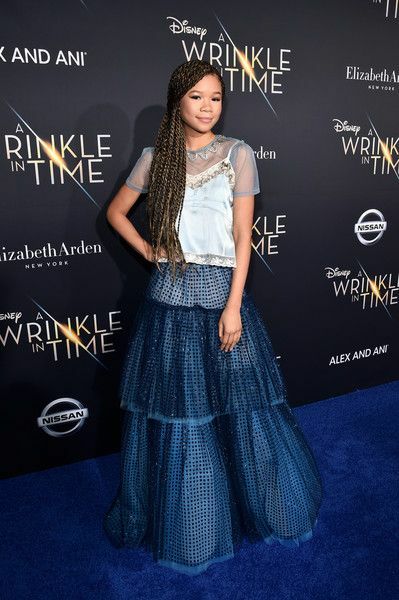 Lead actress Storm Reid wowed in a custom blue multi-tiered dress designed by Coach. 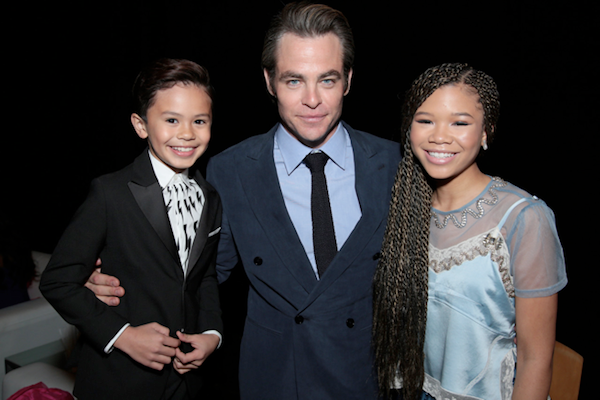 "It was a hard process," the 14-year-old told Entertainment Weekly about choosing her dress. "But this is custom Coach, so this is made just for me, which is very exciting." She totally nailed her look. 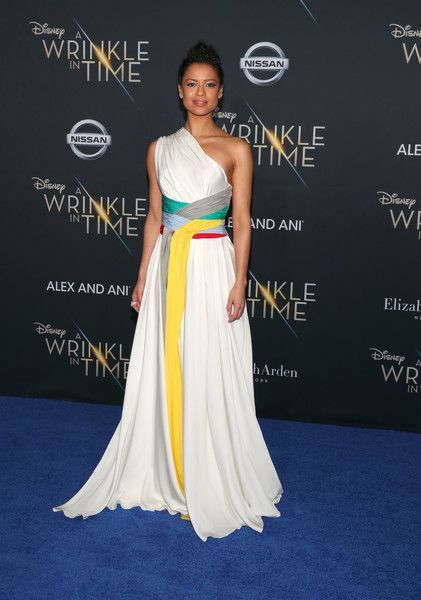 Gugu Mbatha-Raw, who stars in the film, looked whimsical in Vionnet Paris one-shouldered gown. 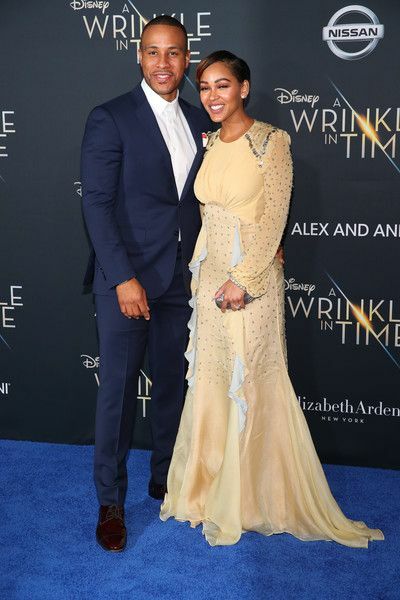 "Grown-ish" starlet Yara Shahidi kept it cute and elegant in a Chanel frock from the Spring 2018 collection. 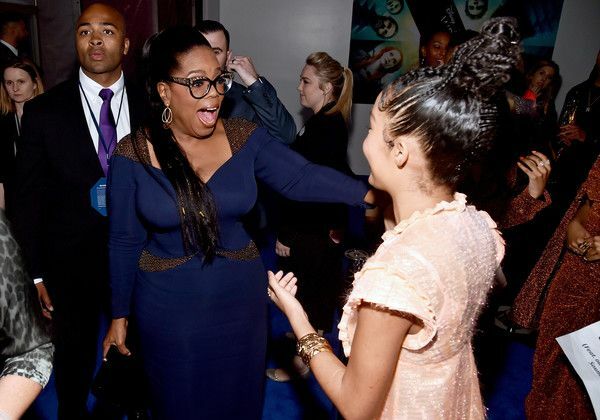 "black-ish" cutie Marsai Martin wowed us in this multi-tiered dramatic Cinq à Sept gown. She's transforming into a gorgeous young lady. 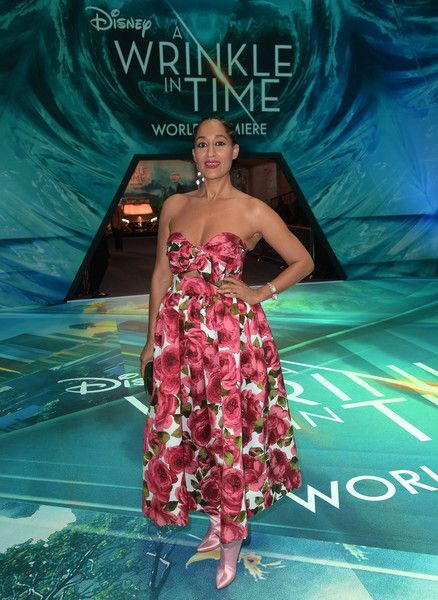 "black-ish" star Tracee Ellis Ross played with floral prints on the carpet in a strapless Michael Kors number paired with Manolo Blahnik boots. 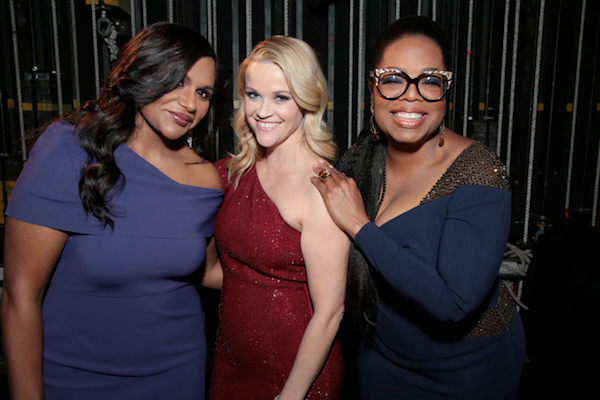 "How To Get Away With Murder" actress Viola Davis and "Scandal" starlet Kerry Washington (not pictured) also came out for the premiere. 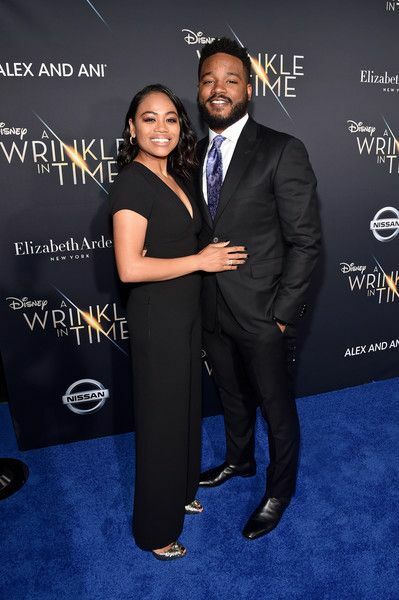 Black Panther director Ryan Coogler, who's killing it at the box office, stepped out to support and brought his wife Zinzi Evans as his date. 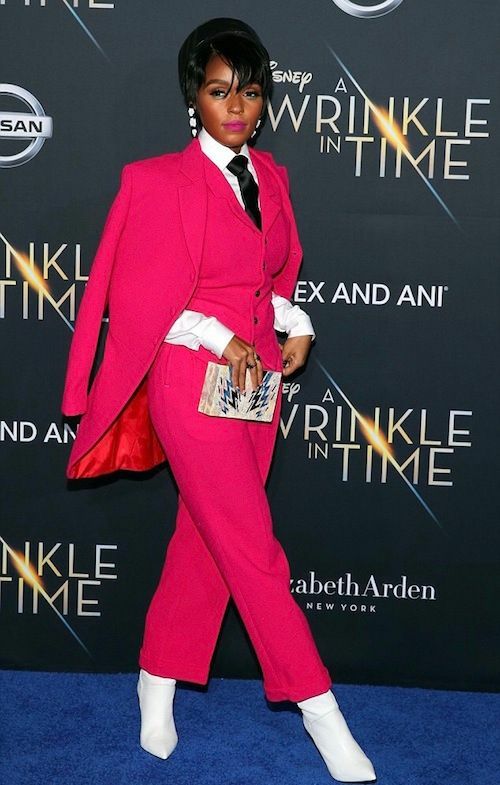 We see you Janelle Monae! 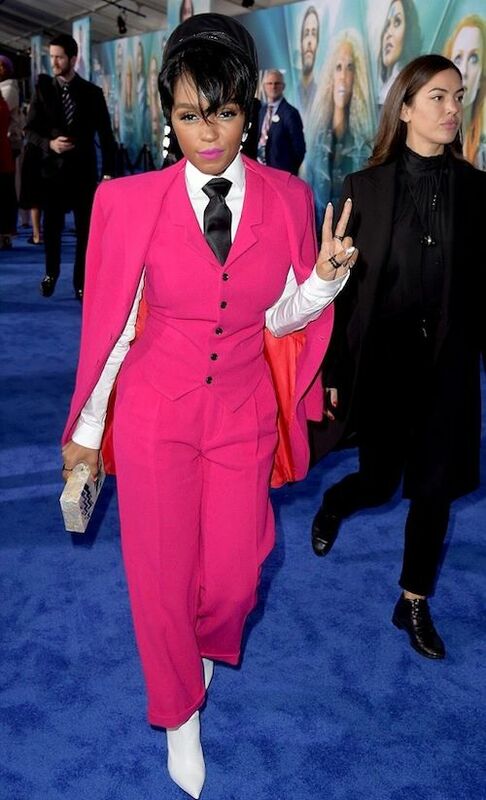 The WONDALAND honcho, who just released two new tracks, served up pantsuit realness in a look by Wolk Morais. 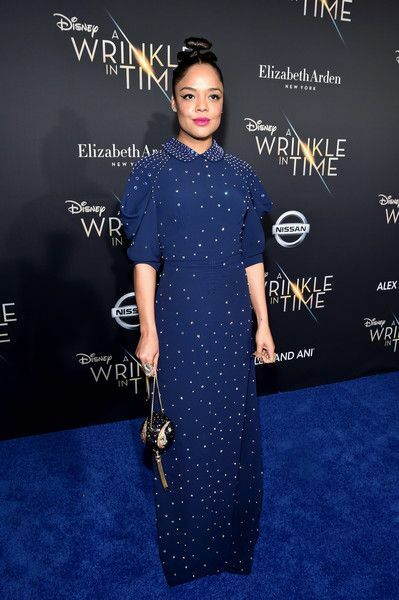 We can't say we were feeling Tessa Thompson's Miu Miu look, but she's a fab chick nonetheless. 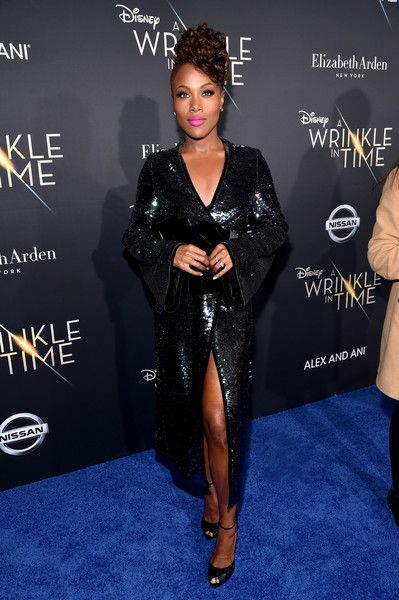 In case you missed, she served up lesbian/bisexual vibes in Janelle's "Make Me Feel," video. Check it out HERE. 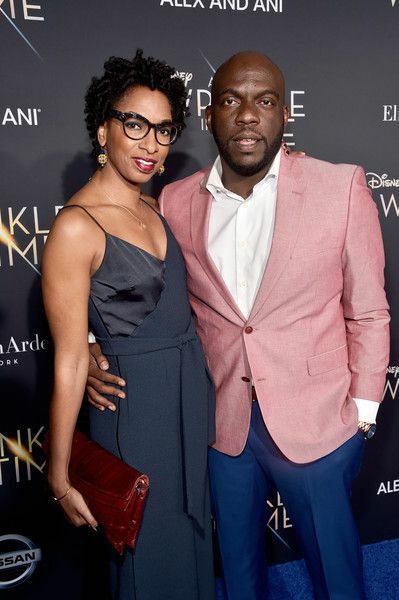 Hmm...it's a miss for Meagan Goode (all smiles alonside her husband DeVon Franklin) as well. 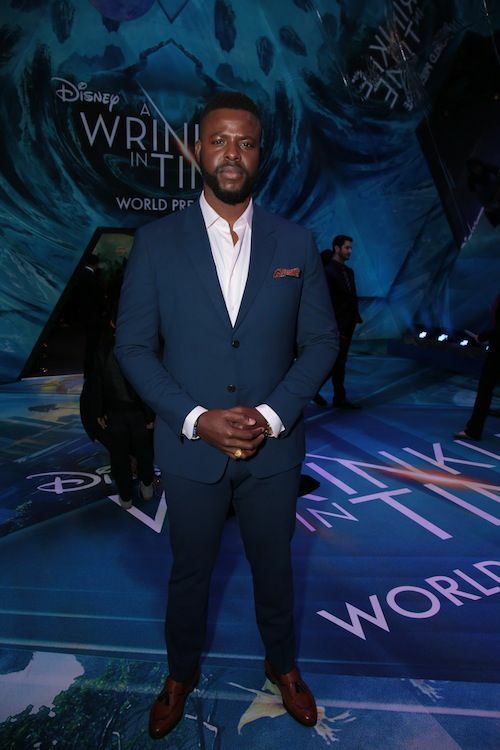 Our Marvel Bae Winston Duke kept it dapper as ever. 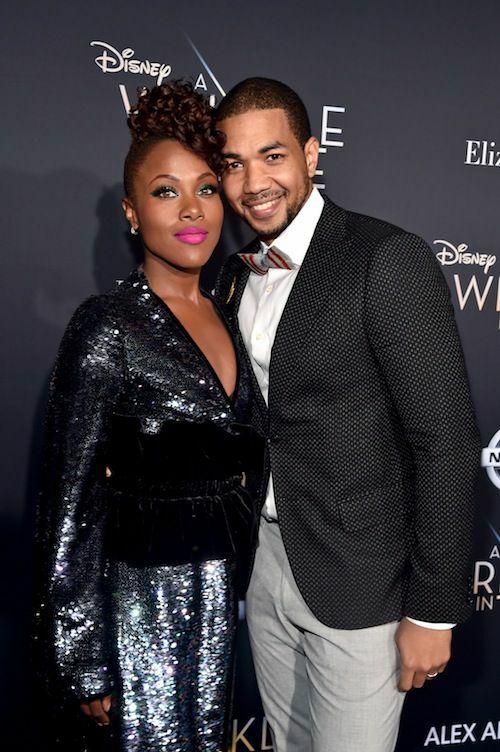 "She's Gotta Have It" star DeWanda Wise and hus husband/"Underground" star Alano Miller served up coupledom vibes. 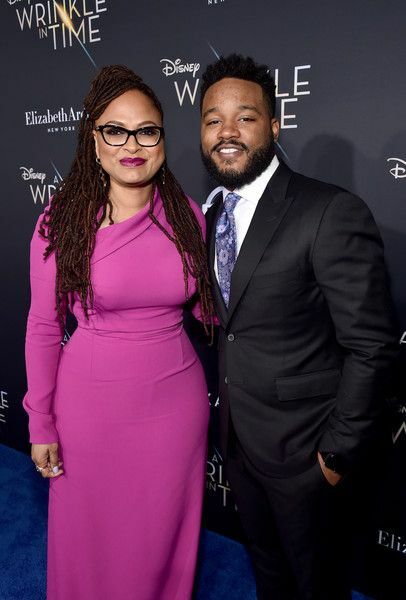 Good looking couple. 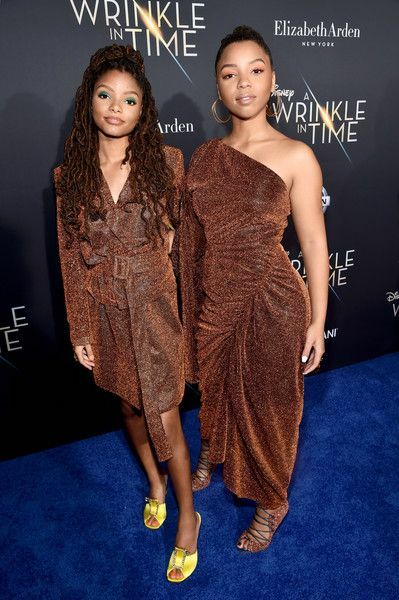 Singers/sisters Chloe x Halle, who star on "Grown-ish," did not disappoint in these chocolate Zena Presley dresses. 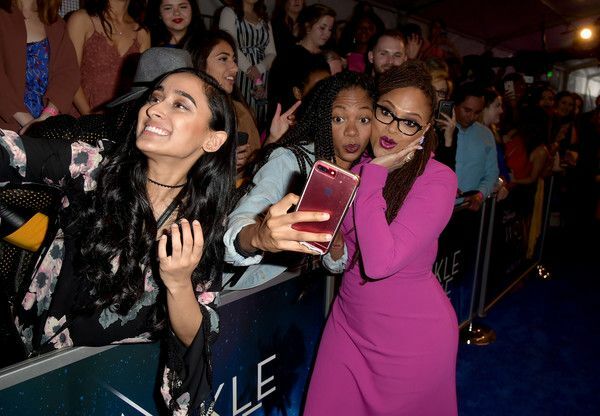 "Underground" star and mom Jurnee Smollett Bell popped up on the scene in flowy gown. 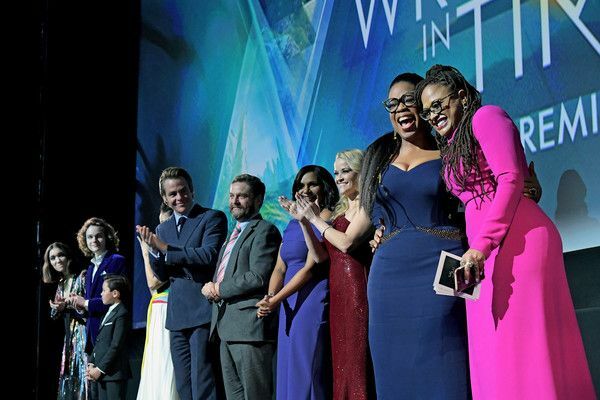 We can't WAIT for a new season of "Queen Sugar" to return. 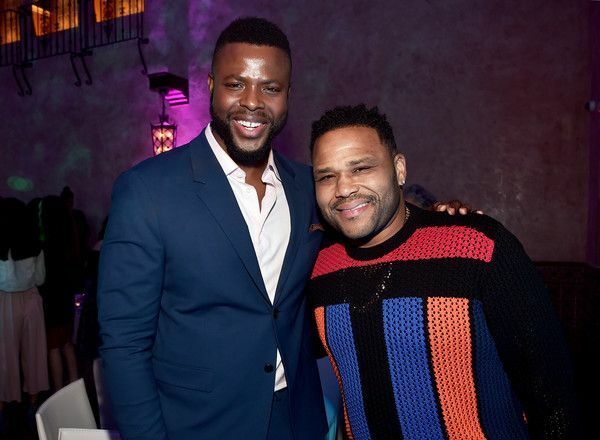 They have started production on the new season. 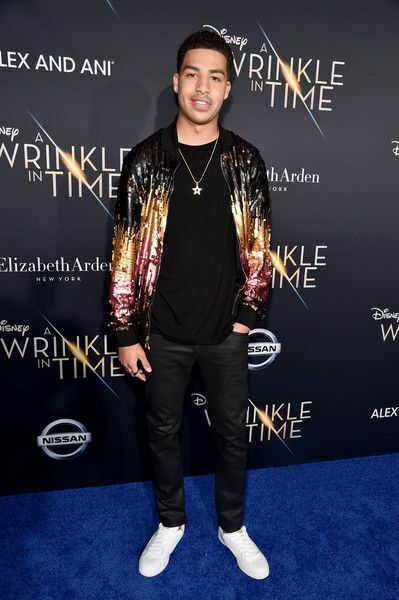 "black-ish" star Marcus Scribner made a cameo on the carpet. 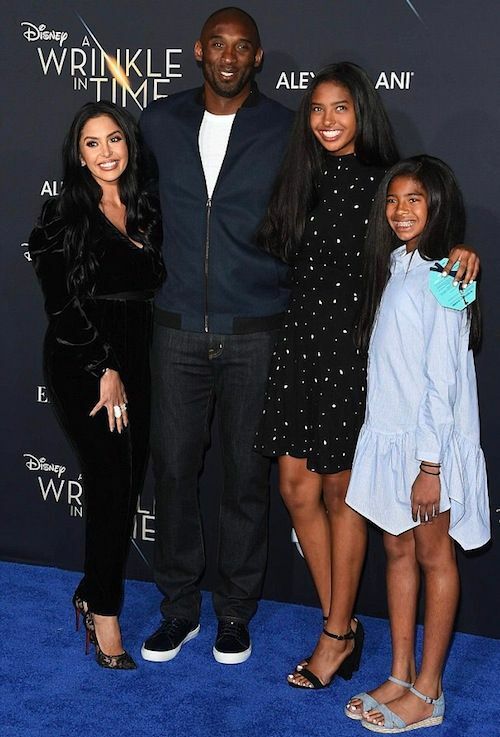 Retired NBA legend Kobe Bryant brought his wife Vanessa Bryant and their daughters for the movie fun. 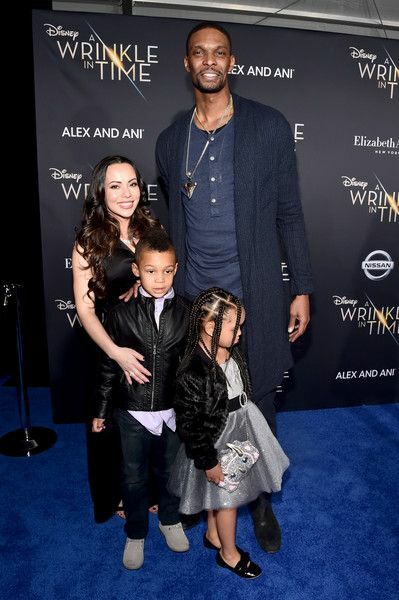 NBA star Chris Bosh also did the family thing with his wife Adrienne Bosh and their kids. 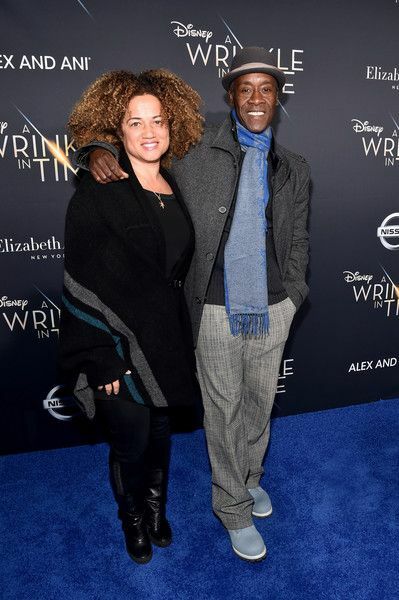 Married couple and actors Don Cheadle and Bridgid Coulter stepped out for the premiere. 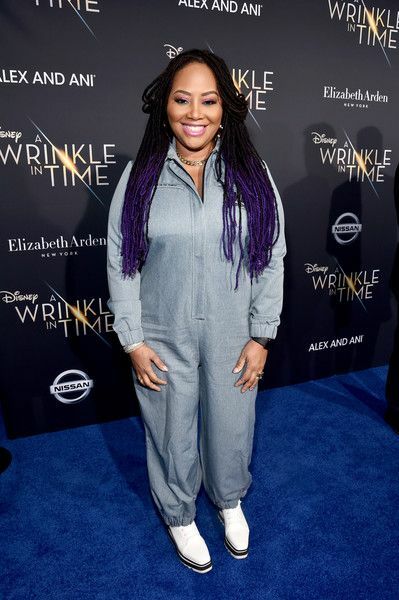 Singer Lalah Hathaway is so gorge. 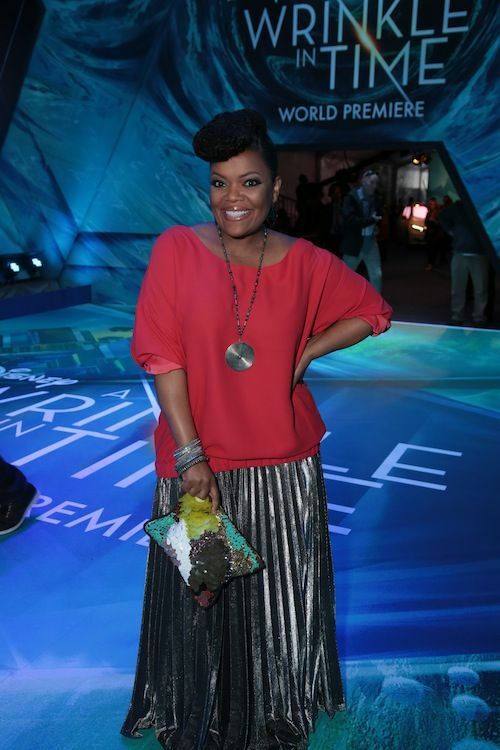 "DC Super Hero Girls" star Yvette Nicole Brown, who hit the daytime TV circuit this week, was all smiles. 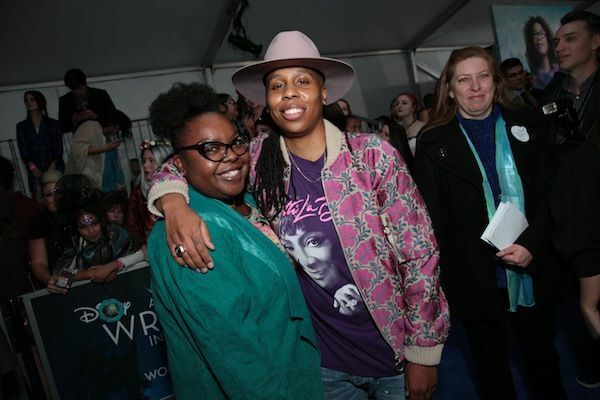 "The Chi" creator Lena Waithe came out to show support. 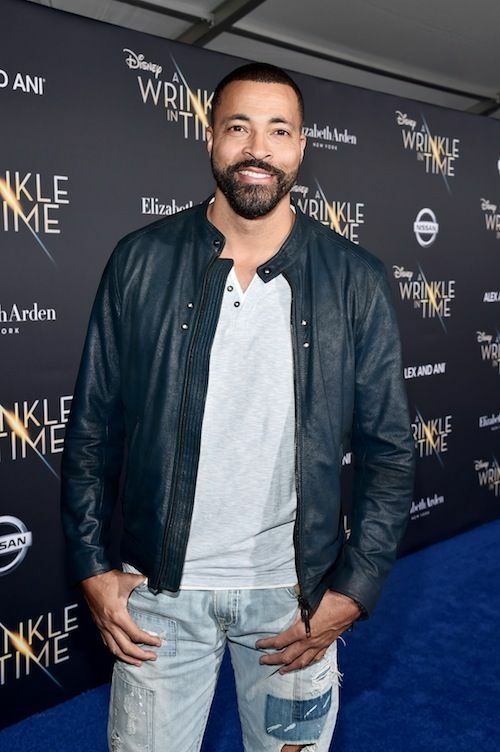 A Wrinkle In Time hits theaters March 9th. Take the kiddies!